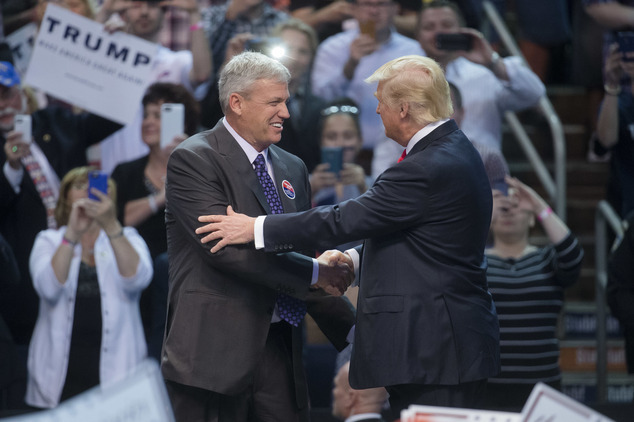 Buffalo Bills head coach Rex Ryan introduced Donald Trump Monday evening at a rally in Buffalo, NY. Ryan opened with a football story related to Trump where one of Ryan’s current assistants was coaching for the New Jersey Generals, who Trump owned. He then spoke about his admiration for Trump, mainly Trump’s “courage” to say what is on his mind.